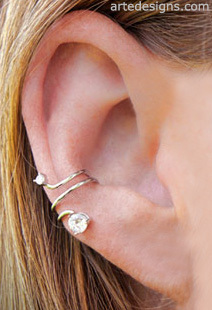 Add more interest to your ear with this edgy and sparkling ear cuff. Are your ears not pierced? No problem! This ear cuff will look great worn alone or with other earrings. Approximately 1/2 inch. 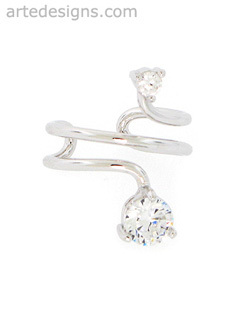 One sterling silver ear cuff with 2 CZ stones.